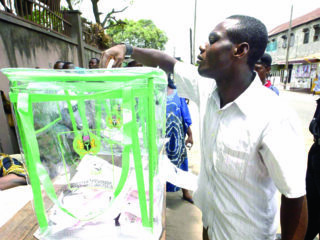 The principle stated above is a salutary one, but its application is necessarily limited by inevitable exceptions.We take, first, the power given by section 89(1)(c) of the Constitution to the Senate or the House of Representatives..
Former Commonwealth Secretary General, Chief Emeka Anyaoku, has lamented military incursion in Nigeria’s political space, insisting the action negatively affected the nation’s development. The language of the communiqué issued by the Forum at the end of its Katsina Meeting betrays, perhaps unwittingly, a certain confrontational stance. 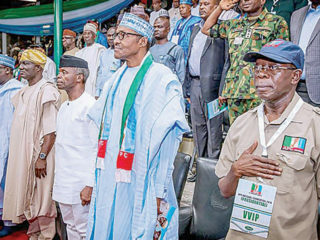 Our dear country, Nigeria, is being choked by divisions of a wide extent and intensity never experienced before the inception of the President Buhari Administration on 29 May, 2015. 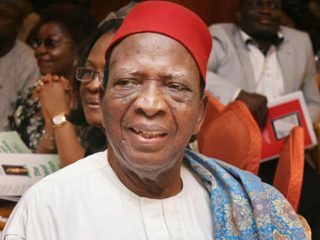 Constitutional Lawyer, Prof. Ben Nwabueze, yesterday warned Ndigbo that boycotting the 2019 general elections would be a suicidal mistake.